For more than half a century, the professionals at Charlotte Van & Storage Co. have been helping families and businesses all over the country with their relocation needs. 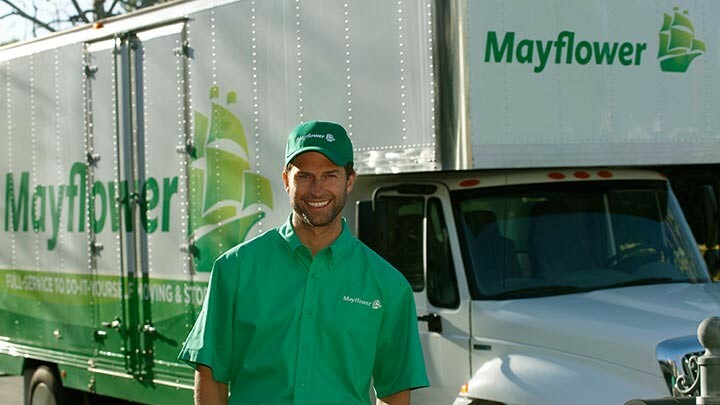 With the help of Mayflower Van Lines, one of the foremost transportation companies in the industry, we have all the support, equipment and state-of-the-art technology needed to tackle virtually any move with ease, regardless of the size and scope. No matter what type of move you're planning, our focus is to always provide you with the best possible services and customer care. To make sure that we always meet your unique needs, budget and schedule, we start by coming to your home or business and conducting a free estimate and consultation. During this time, we'll discuss your requirements and help you choose the best services to accommodate them. Sort your belongings and toss, sell, donate or gift all of your excess or unused items. This will save space in your moving trucks and help you streamline the packing process. Set aside valuable items to keep with you and mark them as DO NOT PACK. These include sentimental items, jewelry and sentimental items, personal/confidential paperwork and documents, etc. Any items that are irreplaceable or contain sensitive information should be kept with you during the move and not on the moving truck. Close out utility services, set up a forwarding address and transfer any necessary accounts to your new home. That way, everything will be set up and ready to go as soon as you arrive. For any questions or concerns about preparing for your move, contact your personal Move Coordinator for more information and guidance. There are many factors that go into a successful move, so it's important that you work with an experienced, reputable moving company during any relocation. Speak with the friendly, knowledgeable experts at Charlotte Van & Storage for more information and to get started on your next employee relocation. We can help you navigate every step of the process and provide the services and care that you need. Call us today or fill out our quick online form to receive your free, no-obligation estimate.